In the sixth book in the Hello Little Owl series, Little Owl and her friends, go out to play after a big thunderstorm. Soon they find out that Pansy Porcupine has been separated from her twins by a flooded stream and can’t get home to feed them. They put their heads together to come up with a plan to get Pansy safely across the river. 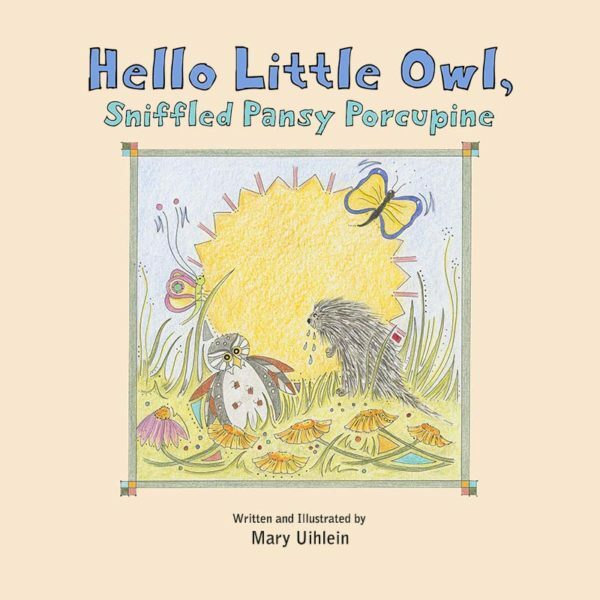 Hello Little Owl, Sniffled Pansy Porcupine is a story about empathy and problem solving. It encourages children to help others by working together, being innovative and using the resources available to them in any given situation. The book is available in an illustrated hardcover with matching dust jacket, and an Amazon Kindle version. The audiobook version will be released before the end of 2018!